There is one thing that really bugs me about Winter. Sure it rains, it's cold, waist lines get thicker and excuses not to leave the house get thinner but I'm not talking about any of these things. I'm talking about the fact that while I'm hibernating on the couch and thinking about days warm enough to brave getting out of my sweat pants long enough for it to be worth shaving my legs, Spring fashions are already starting to drop. Spring is actually one of my favourite seasons for fashion. 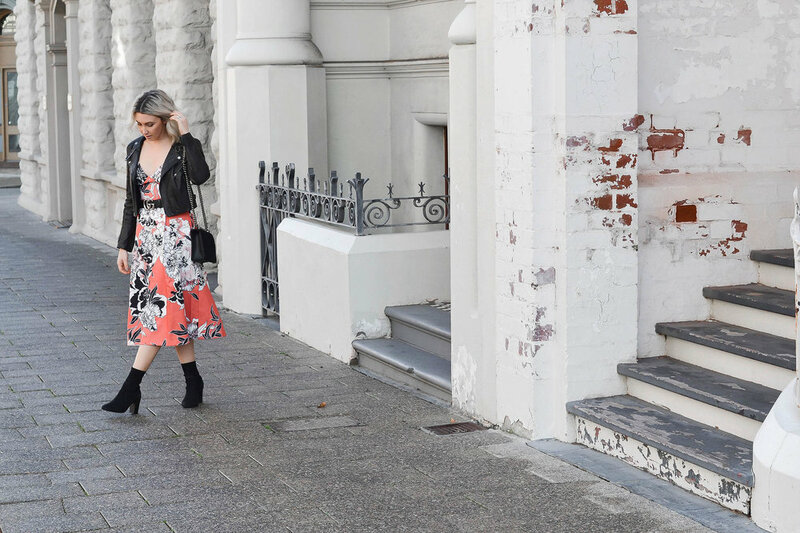 The styles are always more interesting, prints get brighter, embellishments get bolder and there are a million events on in Perth worth getting dressed up for (Hello, Spring Racing Season & Telstra Perth Fashion Festival). So with all those beautiful Spring pieces starting drop in the middle of our cold season I was inspired to think about how you can make these pieces work now so there's no need to wait for the ice to thaw. Learning to take a piece and make it work through all the seasons not only works for impatient ladies like myself who don't want to wait to wear the latest styles; but it will also save a lot of money in the long run. Think revamp, repurpose and reinvent for sustainable fashion. One of my favourite pieces to drop right now is the gorgeous Ember Blooms Dress by Cooper St Clothing. There is obvious attraction in the bold floral print but I've always been a fan of the flare skirt midi dress. There's retro charm for sure but I've always found this style to be incredibly flattering for almost any body shape and super fun and comfortable to wear. 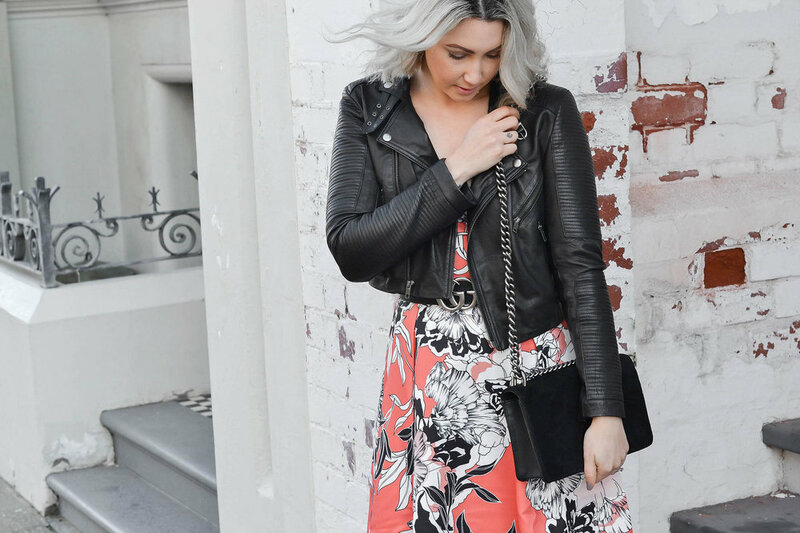 I have styled it three ways to cover cool and warm weather and make it suitable for events and casual day to day wear so it's much more versatile than you may have first thought.